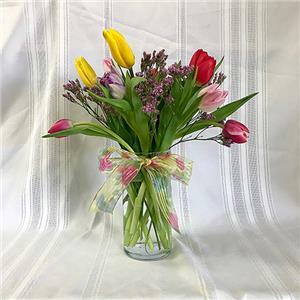 10 mixed color tulips simply arranged in a clear vase. Simply perfect to put a smile on someone's face. Colors vary depending on availability from our grower.